Offers: Accept 2fore1 vouchers and Open Fairways plus the club offers discounted gree fees after 3pm on all days. 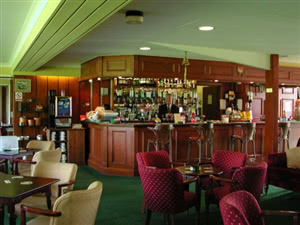 Changing rooms; Professional shop; Trolley hire; Practice facilities; Bar & Catering facilities. Founded in 1948 on parkland just outside the city centre, Canturbury is the perfect foil to the rigours of the famous Kentish links courses a few miles away. Canterbury is a handsome course in undulating mature wooded parkland and although not long by the standards of today, with a 472 yard par 5 to start the front nine and a 490 yard par 5 to finish the back, it is not an easy course to beat. Great course that was very well maintained. Fantastic par 3's. Loved it. ok so twas my first visit to the course. Friendly staff, table service with full English breakfast. Ladies changing room is well designed with plenty of space. Never did make it to the pro shop, save that for another visit. Driving range, putting green, all looks good. Maintenance and new paths works seem ongoing but not a disruption. Gonna look good when its finished. Ground frozen with all greens in play. yay! All in all.... a nice course, worth a visit. Haven't played this one for about 25 years but it is still a great standard . Challenging but not difficult . Well worth a visit .